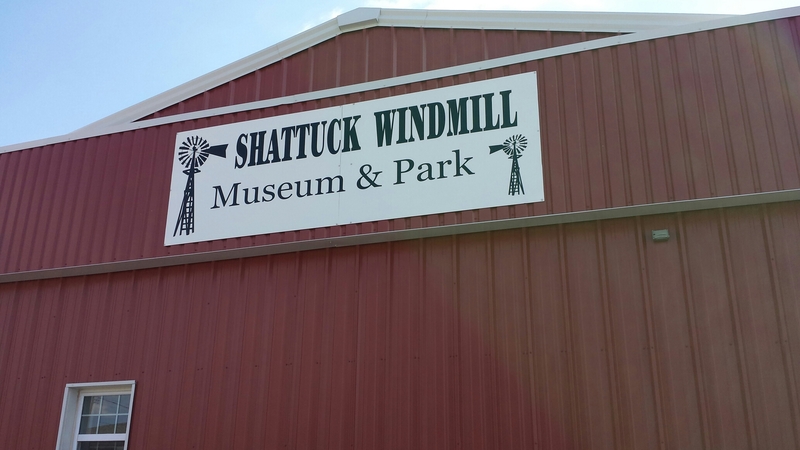 This is work week at the Shattuck Windmill Museum & Park in Oklahoma. Several of us from different parts of the U.S. are here to service & repair the large collection of antique water pumping windmills. Here’s the old dugout at the park. It was protected with a new, not authentic roof last year. The alternative would meant losing the whole cabin to the elements. Come on by. Admission is free. 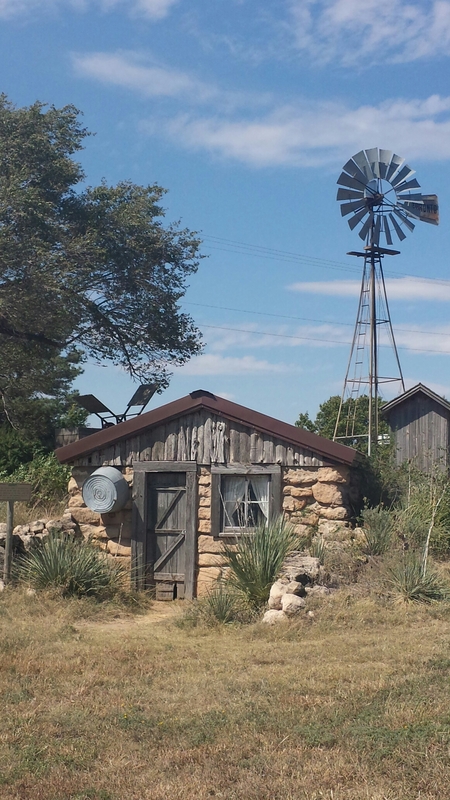 This entry was posted in travel, water wheels, windmills and tagged museums, travel, windmills. Bookmark the permalink. I love the dugout and that you and Kevin join with others to preserve this bit of history. Thanks, Arletta! Will post photos of the pioneer house & old mercantile building tomorrow. 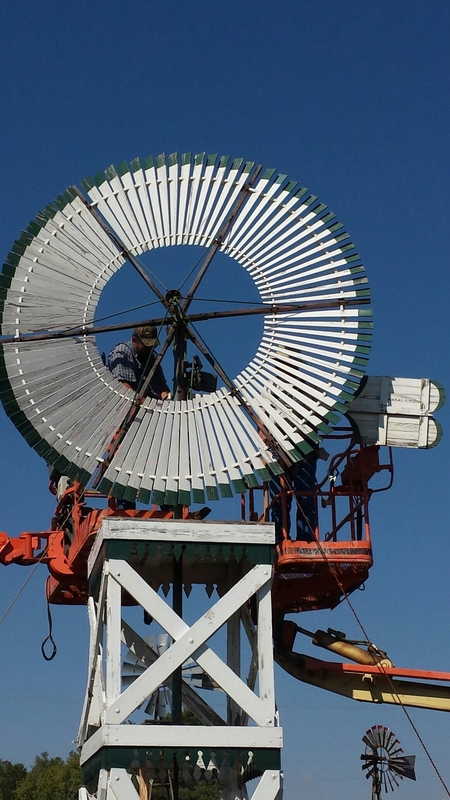 Check out the huge 18 foot Railroad Eclipse windmill today.